*Mixed Version* Detroit house master, Carl Craig renders three mighty mixes for MoS. The first, 'Aspiration' straddles deep-rooted grooves vintage and modern, with 15 tracks spanning Kyle Hall & Kero's 'Zug Island' thru to The Egyptian Lover's 'Egypt Egypt'. Perhaps more intriguing, his 'Inspiration' selection travels between classic soul courtesy of The Temptations' 'Cloud Nine' to modern analog in Erykah Badu's 'Fall In Love (Your Funeral)', along with classic dub from Prince Jammy and and seminal techno such as Derrick May's 'Icon' and E-Dancer's 'Feel The Mood'. A third, 'Masterpiece Meditation' mix, is the one you NEED to check - consisting entirely new modular productions scoping distant electronic horizons like some inverse relation to his legendary 'Landcruising' LP. "Tracklist Disc 1-Aspiration 01. Kyle Hall & Kero - Zug Island 02. Macromism - News From Barcelona 03. Huxley - Little Things 04. Burnski - Lost in the Zoo (Martinez Brothers' Bronx Zoo Mix) 05. Loco Dice -Detox 06. Sam Ball - Handsome 07. Maan - L1 (ROD Remix) / tINI - My Shine (Carl Craig Remix) 08. Technasia - Bastille Days 09. 69 - Poi Et Pas (ROD Remix) 10. Arkist - Rendezvous (SCB 2013 Dub)11. Tom Trago - Use Me Again (Carl Craig Refix Mix) 12. Rick Wilhite - Drum Patterns & Memories (Moodymann Mix) 13. The Egyptian Lover - Egypt Egypt 14. Ben Sims - Straight from Bolivia 15. Lance Desardi - The Power of Suggestion Disc 2-Inspiration 01. The Messengers - In The Jungle 02. The Temptations - Cloud Nine 03. Muddy Waters - Mannish Boy 04. Prince Jammy - 256k Ram 05. African Head Charge - Crocodile Hand Luggage 06. David Lynch - Noah's Ark 07. Freeway - All My Life 08. Erykah Badu - Fall In Love (Your Funeral) 09. Moritz Von Oswald - Cocoon Dark Dub 10. E-Dancer - Feel The Mood 11. Derrick May - Icon 12. DeBarge - Stay With Me 13. Melody Gardot - Mira 14. Tribe - Livin' In A New Day Disc 3-Meditation 01. Carl Craig - Meditation 1 (Version) 02. Carl Craig - Meditation 2 (Version) 03. Carl Craig - Meditation 3 (Version) 04. Carl Craig - Meditation 4 (Version) 05. Carl Craig - Meditation 5 (Version) 06. 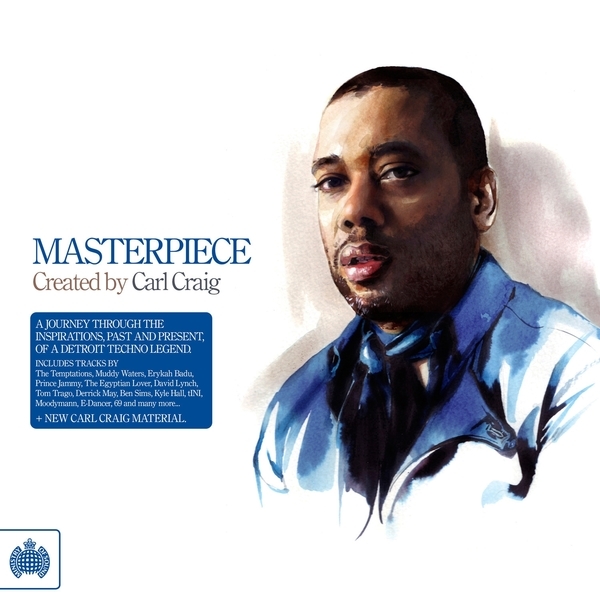 Carl Craig - Meditation 6 (Version)"